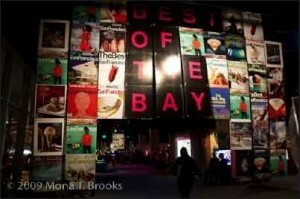 San Francisco: Best of the Bay Partay! 2010 marks the 10th year anniversary of San Francisco magazine’s Best of the Bay Area party—the city’s biggest bash of the year. Join San Francisco magazine and Tango Diva as we toast the best people, places, and things making the Bay Area the very best place to live, work, and play. Fellow Tango Diva, Chelsea, attended last year and returned with rave reviews, “Have you ever been to a party that was so amazing that you had a permanent after-glow for days on end? Well, that’s what Best of the Bay did to me.” It’s a night not to miss! Take advantage of being a Tango Diva by ordering your tickets between June 10-26 using our discount codes at www.sanfranmag.com/bestof. 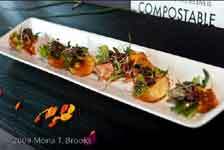 Enjoy endless entertainment for every obsession: eats, treats, drinks, and beats. Celebrate the best of the best with more than 40 restaurants including flour + water, Baker and Banker, Martins West, and The Alembic; free flowing bars with signature Ketel One cocktails, Trumer Pils beer, the Sonoma Valley Grapes & Wine lounge, and FIJI Water. And be sure to be entertained as you checkout The Americana Cigar bar, vodka luges, the cool sounds of DJL!, SPUR’s urban installations, and Pacific Art Collective’s live art. Best of all, the party benefits Family House. Buy tickets at www.sanfranmag.com/bestof between June 10 – 26 and save! Enter the raffle to win one of four fabulous prizes, including a luxury suite for a Warriors 2010/11 home game and three great getaways. BUY EARLY! Best of the Bay 2010 is going to be the biggest and best yet and tickets will sell out quickly. Your tickets must be purchased between June 10 – 26 to get this discount and are based on availability. This offer will not be extended again.